The Radisson Hotel Princeton greets you in style. 241 spacious and comfortable guest rooms and suites. Large work desk with desk outlets, ergonomic chair, two 2-line phones, voice mail, and data ports. 25" remote control TV, iron, ironing board, clock radio, hair dryer, and coffee maker. Fitness center (closed until further notice for renovations), indoor pool, valet service, and gift shop. Just five minutes from Princeton University. 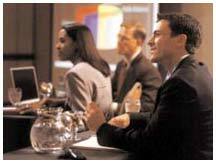 Our Radisson is an ideal venue for business or social events. 10,000 square feet of versatile meeting and banquet space. Two private executive boardrooms for smaller meetings. Beautiful and elegant first floor grand ballroom. 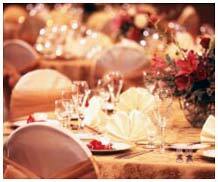 Professional and creative catering and banquet staff. Custom tailored menus and event packages for every need. Five minutes from Princeton Junction train station, offering links to Philadelphia and New York City. © 2003, Radisson. All rights reserved.